Team Tormenta reached the National Qualifying Event 2005 DARPA Grand Challenge. Please enjoy the following photos and video of our experience. Visit the Team Tormenta store here. "The Defense Advanced Research Projects Agency (DARPA) today announced the 40 teams selected to advance to the semifinals of the DARPA Grand Challenge 2005 autonomous ground vehicle competition. The 40 teams will compete head-to-head in the National Qualification Event (NQE) at the California Speedway in Fontana, September 27 to October 5, 2005 where 20 of the 40 teams will be selected to compete for the $2 million prize in the Grand Challenge event, scheduled for October 8, 2005." 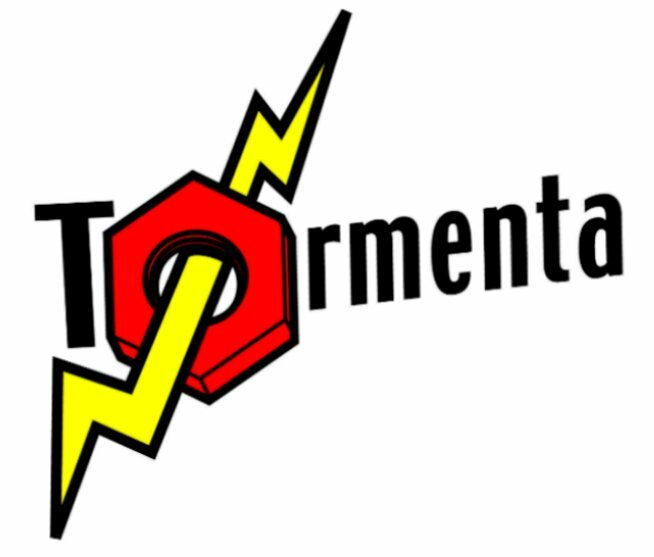 Team Tormenta was selected from a field of 118 entrants. Check out the full article here. Representatives from DARPA arrived for our team's site visit. 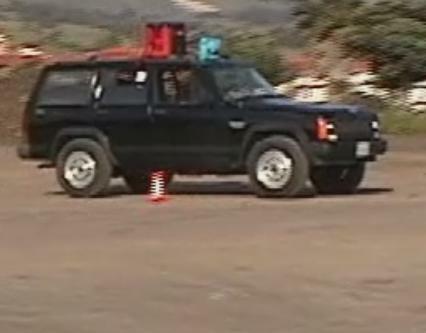 The vehicle was required to traverse a 200m course with randomly placed obstacles, and performed nearly flawlessly, staying within most course boundaries and bumping only one obstacle throughout four runs. Check out the new video in the media section. DARPA has confirmed that they have recieved all five application parts sucessfully. To celebrate, we're posting a sample clip from our application video: fully autonomous waypoint navigation. Following Team Tormenta's application into the DARPA Grand Challenge 2005, Team Tormenta is proud to unveil our entry vehicle. 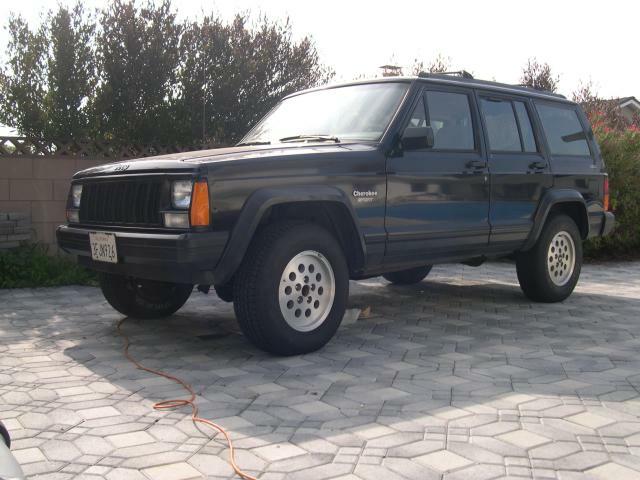 The deep black Jeep Cherokee Sport was chosen after much careful consideration, and we have decided it meets all of our main requirements. After submitting parts one and two of the official DARPA Grand Challenge Application, Team Tormenta is readying to submit their team video, part three. We thank all our generous sponsors for making this possible. The Sensor Test Platform is now operational! The Digital I/O Subsystem now has a fully functioning output pathway and our relay controllers are now functional. A crucial component of our testing plan, the sensor test platform will allow sensor and navigation software to be tested independently from the chellenge vehicle. Two members of Team Tormenta, Joe Bebel and Tej Patel, presented a paper along with Nathan Howard at the Intelligent Transportation Systems Conference 2004 in Washington, DC. The paper covered the autonomous system they developed as part of the Palos Verdes High School team for the 2004 DARPA Grand Challenge. The paper is posted here(pdf). At the DARPA Grand Challenge competitor's conference, Team Tormenta begins its public search for sponsors and supporters. Here is the official Team Tormenta Promotional Video. See the capabilities of our actuated vehicle, plus a special sneak peek at some of our sensors and inside the The Black Pearl. This video shows The Black Pearl navigating itself under complete computer control to a GPS waypoint specified in a RDDF file. No teleoperation, no remote control, no preprogrammed turns, no human involvement! The video of the Palos Verdes High School DARPA QID run in March, 2004 is now posted! Several of the four students who wrote the core software for the PVHS entry are now on Team Tormenta. PVHS came in 10th of the 15 teams that qualified.